Natural bone. The ligamentary skeleton of a medium-size mongrel, Canis familiaris, has been carefully prepared to detail skeletal features common to canines. 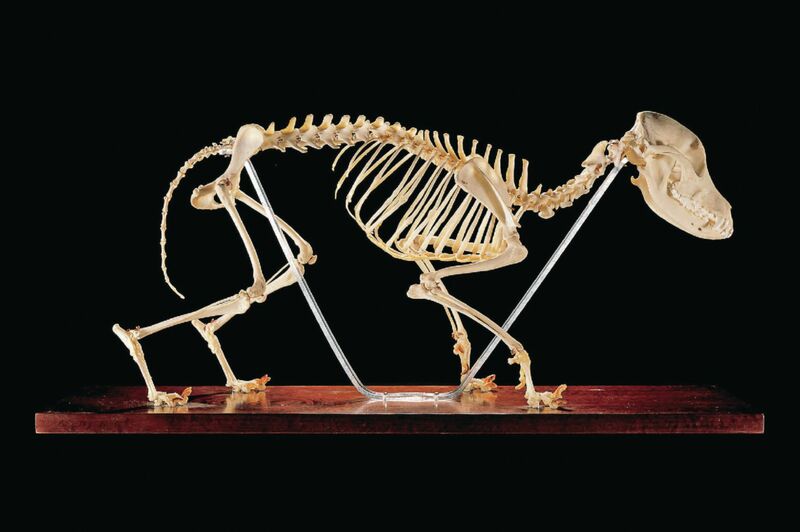 It is mounted in a normal walking pose on a wooden base and attached by clear plexiglas supports. A key identifying 122 structures is included. 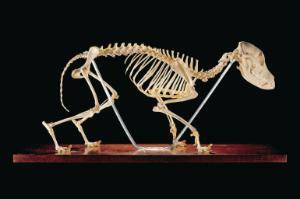 Base size: 27 3/4"L x 9"W. Skeleton size: approximately 15"H x 22 1/2"L.